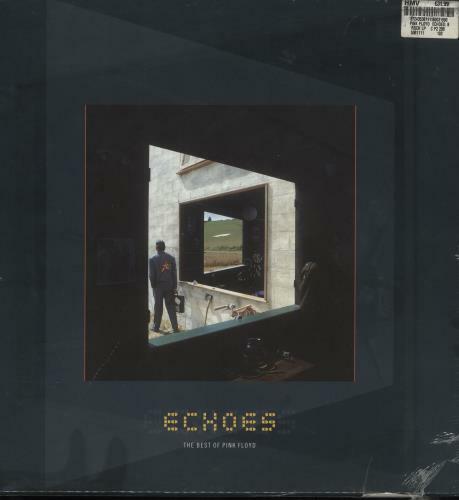 PINK FLOYD Echoes (Sealed 2002 UK limited edition 26-track 4-LP set pressed on 180gram Vinyl, a superb digitally remastered 'best of' featuring an array of hits from See Emily Play through to Shine On & Comfortably Numb. Each disc remains UNPLAYED comes in its own individual picture sleeve complete with lyric inners and housed together in the fabulous 12" square outer slipcase which displays the artwork alluding to the albums from which the tracks were taken. This copy remains sealed within its original price-stickered shrinkwrap. A truly wonderful set! ).